Today, we tell about the Korean War. The biggest problem facing Dwight Eisenhower when he became president of the United States was the continuing conflict in Korea. Eisenhower was elected in November nineteen fifty-two. At the time, the United States had been helping South Korea fight North Korea for more than two years. About twenty other members of the United Nations were also helping the South. The UN members provided troops, equipment, and medical aid. EISENHOWER: "I shall go to Korea." During the American presidential election campaign, Eisenhower announced that he would go to Korea. He thought such a trip would help end the war. Eisenhower kept his promise. He went to Korea after he won the election, but before he was sworn-in as president. Yet the fighting did not stop in Korea until July of the next year, nineteen fifty-three. The war started when North Korean troops invaded South Korea. Both sides believed they should control all of the country. The dream of a united Korea was a powerful one. From nineteen-ten until World War Two, Korea had been under Japanese rule. In an agreement at the end of the war, troops from the Soviet Union occupied the North. They accepted the surrender of Japanese troops and set up a military government. American troops did the same in the South. The border dividing north and south was the geographic line known as the thirty-eighth parallel. A few years later, the United Nations General Assembly ordered free elections for all of Korea. With UN help, the South established the Republic of Korea. Syngman Rhee was elected the first president. On the other side of the thirty-eighth parallel, however, Soviet troops refused to let UN election officials enter the North. The Soviet Union supported creation of a communist government there, called the Democratic People's Republic of Korea. Kim Il-sung was named premier. Five years after the end of World War Two, the United States had withdrawn almost all its troops from South Korea. It was not clear if America would defend the South from attack. South Korea had an army. But it was smaller and less powerful than the North Korean army. North Korea decided the time was right to invade. On June twenty-fifth, nineteen-fifty, North Korean soldiers crossed the thirty-eighth parallel. The UN Security Council demanded that they go back. Two days later, the Council approved military support for South Korea. The Soviet delegate boycotted the meeting that day. If he had been present, the resolution would have been defeated. The UN demand did not stop the North Korean troops. They continued to push south. In a week, they were on the edge of the capital, Seoul. 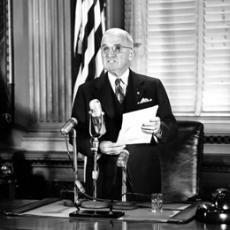 Harry Truman, America's president at that time, ordered air and sea support for South Korea. A few days later, he announced that American ground forces would also be sent. Truman wanted an American to command UN troops in Korea. The UN approved his choice: General Douglas MacArthur. Week after week, more UN forces arrived in the South. Yet by August, they had been pushed back to the Pusan perimeter. This was a battle line around an area near the city of Pusan in the southeast corner of Korea. North Korean forces attempted to break through the Pusan perimeter. They began a major attack on August sixth. They lost many men, however. By the end of the month, they withdrew. 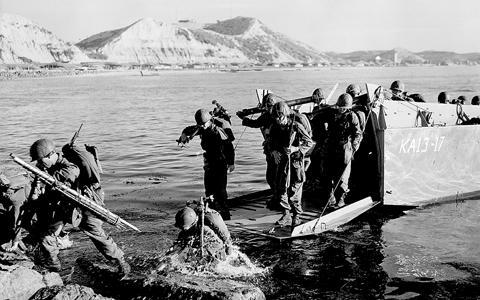 The next month, General MacArthur directed a surprise landing of American Marines in South Korea. They arrived at the port of Inchon on the northwest coast. The landing was extremely dangerous. Water levels could rise or fall as much as nine meters in a single day. The boats had to get close to the coastline and land at high tide. If they waited too long, the water level would drop, and they would be trapped in the mud with little protection. The soldiers on the boats would be easy targets. The landing at Inchon was successful. The additional troops quickly divided the North Korean forces, which had been stretched from north to south. At the same time, UN air and sea power destroyed the northern army's lines of communication. On October first, South Korean troops entered North Korea. They captured the capital, Pyongyang. Then they moved toward the Yalu River, the border between North Korea and China. 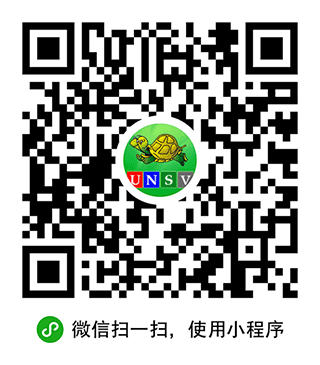 China warned against moving closer to the border. 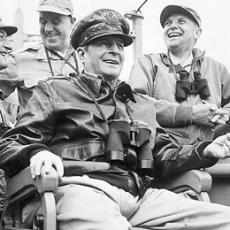 General MacArthur ordered the troops to continue their attacks. He repeatedly said he did not believe that China would enter the war in force. MacArthur was wrong. Several hundred thousand Chinese soldiers crossed into North Korea in October and November. Still, MacArthur thought the war would end by December twenty-fifth, the Christmas holiday. This was not to happen. The UN troops were forced to withdraw from Pyongyang. And, by the day before Christmas, there had been a huge withdrawal by sea from the coastal city of Hungnam. In the first days of nineteen-fifty-one, the North Koreans recaptured Seoul. The UN troops withdrew about forty kilometers south of the city. They re-organized and, two months later, re-gained control of Seoul. Then the war changed. The two sides began fighting in an area north of the thirty-eighth parallel. They exchanged control of the same territory over and over again. Men were dying, but no one was winning. The cost in lives was huge. General MacArthur had wanted to enter China and attack Manchuria. He also had wanted to use Nationalist Chinese troops against the communists. President Truman feared that these actions might start another world war. HARRY TRUMAN: "If we do have another world war, it would be an atomic war. We could expect many atomic bombs to be dropped on American cities, and a single one of them could cause many more times the casualties than we have suffered in all the fighting in Korea. I do not want to be responsible for bringing that about." When MacArthur disagreed in public with the President's policies on Korea -- including the general's statement "There is no substitute for victory" -- Truman dismissed MacArthur. In June, nineteen fifty-one, the Soviet delegate to the United Nations proposed a ceasefire for Korea. Peace talks began, first at Kaesong, then at Panmunjom. By November, hope for a settlement was strong. But negotiators could not agree about several issues, including the return of prisoners. The UN demanded that prisoners of war be permitted to choose if they wanted to go home. The different issues could not be settled after more than a year. Finally, in October, nineteen fifty-two, the peace talks were suspended. Fighting continued during the negotiations. As it did, President Truman lost support. This was one reason why he decided not to seek re-election. The new president, Dwight Eisenhower, took office in January, nineteen fifty-three. Eisenhower had campaigned to end the war. He was willing to take strong action to do this. Years later, he wrote that he secretly threatened to expand the war and use nuclear weapons, if the Soviets did not help re-start the peace talks. Such measures were not necessary. In a few months, North Korea accepted an earlier UN offer to trade prisoners who were sick or wounded. The two sides finally signed an armistice agreement on July twenty-seventh, nineteen fifty-three. The agreement stopped the fighting and provided for the exchange of about ninety thousand prisoners of war. It also permitted prisoners to choose if they wanted to go home. The war in Korea damaged almost all of the country. As many as two million people may have died, including many civilians. After the war, the United States provided hundreds of thousands of soldiers to help the South guard against attack from the north. Half a century has passed since the truce. Yet Korea is still divided. And many of the same issues still threaten the Korean people, and the world. The Korean conflict increased efforts in the United States to develop a weapon more deadly than the atomic bombs that had been used against Japan to end World War Two. These efforts led to the hydrogen bomb. The Soviets were developing such a weapon, too. They had already developed -- and tested -- an atomic bomb. The nineteen fifties found Americans at home feeling hopeful about the future while also living under the threat of nuclear war. That will be our story next week.